God Bless Peach the Possom. P.s. I am wondering which sauce my possom, Cantaloupe, would like best with his chicken liver patee food? He is getting frisky when eating it and I need a way to spice it up for him. If you could help that would be fab. Cartesia is a spectacular name!!! All hail Cartesia. And Peach appreciates the blessings. We are having trouble believing in Cantaloupe, however. Thank you for connecting. Pearl loves you. I am 13 years old and I have a crush on a boy. Should I tell him or have him make the first move? So much depends on what species you are. Watch to see if the male in question becomes more beautiful than you. If you are humans, forget it. Any other species and your crush has been answered. If you are a squirrel, however, don’t count on attracting too much at age 13. Pearl, how can we come to be aware of our innate love for you in all our moments? We feel you in moments of reverie and despair, but can your grace be realized in the mundane? You ask enlightened questions, my friend and follower. Your innate knowingness has alerted you to the reality that the prescient and preternatural Pearl is simply not crazy about the mundane. If you must traverse those paths you must go it alone and graceless. Ask yourself, “Is it worth it?” Remember that ‘A day without Pearl is …well, it isn’t a day at all, is it?’ Before getting drawn down the dark road of dull, think of ME and do something spectacular! The Pearls wisdom is indeed limitless. The mundane seems to be merely a shroud for the overwhelming brilliance of existence. I suppose we couldn’t function if we experienced all of our moments to their full glory, but the glimpses and the knowledge that there is far more concealed beneath the curtain makes me truly grateful for Pearl. I am all that and more. Now tell Pearlie Mae what’s chewing on your toes. The omniscience of the Pearl once again astounds me. Toes are indeed the source of all my unease, but not my toes. I find that I cannot reconcile the feet of chickens, I cannot accept reptilian feet in concert with feathers. It doesn’t bother me in other birds, only chickens. Hello dear, sweet ME Pearl. The following question is regarding a problem I have and have had since age 10. Please don’t laugh or poke fun. It regards a fetish I have. Since age 10, I have fantasized about being shrunk. I attempt to bring up shrinking in conversations with strangers or relatives, usually my mother or her mother. I record conversations with said grandmother to aid in.. gratifying myself at a later time. My question is, what do you think is the cause? Do you think this is unhealthy? If so, what can I do to stop? If this is obscene I apologize. I need wisdom on the matter, and I hope you can offer said wisdom. How old are you now, HeWho? The obvious cause is your longing to be a squirrel, which is perfectly normal and a sign of superior intelligence. The problem arises when faced with the reality that you are NOT a squirrel (I presume). Rent the film “Honey I Shrunk the Kids”. It’s fraught with the perils that your shrunken little self would face. BTW, you’re grandmother is probably taping the same conversations for the same purpose, herself. I’ve seen it before. Have a nice day, HeWho, and thank you for writing in. I am currently 19-years-old. Forgive me, but I do not believe I wish to be a squerrel (not consciously, anyway). I have seen the film Honey, I Shrunk the Kids, in fact, it’s what I normally bring up to strangers to get them on the subject. I have brought up the movie twice, and both times it was successful in conjuring conversation on the matter. One with my English professor, one with the manager of the local plasma clinic. On an unrelated topic, is it ok for me to ask you a large number of questions? I have so many to ask you, oh great ME Pearl. Love your’s and Ms. Spelvin’s videos. Not a large number, no. Being OverSquirrel of this and all planets is time consuming and labor intensive. Pearl loves you but, you know…….Start with the most dire and we’ll fix that right on up. Then you may feel spiritually complete. I have that effect of folks. My boyfriend, Travis (Trav), and I have been going out for 7 months now. I thought we were both in love and very committed… But… My friend, Dana said she and her beau Matt were at the mall and saw Trav with a girl I don’t know! Should I believe Dana? Should I confront Trav? Should I break up with him? Prom is around the corner and I don’t know what to do about the boyfriend situation! There are sisters and cousins and friends and mentorees and personal shopping advisors (perhaps he’s looking for a gift for you) and countless reasons to be seen in a mall traveling with Travis. Besides which the great and powerful Pearl suggests that he doesn’t need a reason to be seen in public with not you. Are you really willing to deny yourself the right and freedom to be in a mall with another boy under any circumstance that you deem prudent? Really? Pearl implores you to think this through. If he wants to go to the prom with you and you want to go with him then GO, by all means. Although why you wouldn’t prefer zip lining through some glorious majestic deciduous forest is a mystery. Did you know there is a famous ‘suicide forest’ in Japan? Don’t go there. That would make a really bad date. Oh, great and powerful ME Pearl. This question is in regards to my need to make money vs. my grandmother’s wishes. Twice a week, I donate plasma to attain a total of $65. However, my grandmother has asked me not to as she thinks it’s dangerous. My problem is I have fines and other expenses I need to pay. Should I proceed to donate plasma for $ or disobey my grandmother? I need the money, but experience tells me that disobeying my grandmother will have dire consequences. You and your grandmother have a long and complex relationship going back millennia. In doing a brief scan I see that some unpleasantries in Troy during the 11th century BCE may leave her still wanting some of those platelets for herself. Don’t ask. But do offer her first dibs on your blood and you may turn a prettier profit than expected. You’re welcome. And no, your family is no stranger than any other. I wish to please you. I wish to dedicate my life to you as one dedicates their life to a deity. I wish to be the source of your greatest happiness. I wish to write songs about you. I wish to paint you. Though I know no form of art may even remotely capture your greatness. How can I please you, oh MEPearl? From this point on, my body exists to be your instrument of servitude! Of course you do and Bully! But let’s look at a few specifics. “I wish to dedicate my life to you as one dedicates their life to a deity.” This is redundant. “I wish to be the source of your greatest happiness.” Well, dear, only I can be that, don’t you know. “How can I please you, oh ME Pearl?” Use sending $ as the default. People tend to get peevish on that point but when one is bold enough to ask the question Pearl can be no less than omnihonest. Yes, yes, I do inspire art and literature and music and why not choreograph me a ballet at some point? You certainly have the right idea. Double Bully! Bully! Bully! Your body offering is swell but I’ll require your psyche as well, capisce? In for a penny, in for a pound, tra la tra la. And if you ever need anything, anything at all, just work it out. I myself have gnawed my way through most of a Merriam-Webster’s English dictionary and around the edges of a LaRousse Spanish/French and find myself less enlightened (and, oddly, slightly more hungry) than pre-gnawing. Is there a more specific recipe for enlightenment for mere mortal humans, or are we doomed as a species? Less enlightened, perhaps, but when you speak in a foreign language, or simply a foreign accent, the content value of the palaver is, well, almost inconsequential, n’est pas? You are not doomed as a species but your position on the food chain is due for revision. Tous les animaux du monde rire et rire et rire . Pearlie Mae suggests you add hickory and watercress to your diet. And STRAWBERRIES. We intuit you would benefit by consuming large quantities of strawberries. Don’t argue. MePearl, we call upon you to pilgrimage to the motherland, Williamsburg, VA. There are many of our kind here, and by our kind I mean squirrels. We need you to lead us to overthrow the greedy pink humans that dwell here. Also, what is your favorite song? Also how do you throw dinner parties? Thanks again and hope to see you soon! P.S. Also, where do you think my path in life will lead me? P.S.S How will I do on my MCAT? Williamsburg VA? Maybe. I have a beloved, Stockton DuPres, who still haunts Kentucky. He’s dedicated to overthrowing greedy pink humans. I simply wait until they make their transition and then, well, you don’t want to know…..
We don’t care how you do on your MCAT. We would prefer that you take a VCAT or, wiser still, a WVCAT. ME Pearl will help you with the rodentia section. I was featured in a recently published book entitled ‘A Home For Pearl Squirrel’ by Amy C Johnson, which explains why I never give dinner parties. How long does it take to get to where you are? I’m suffering simmering broils whenever I go to meditate. Soooooooooooo mad at someone. How do I find peace without indulging my baser inclinations? You are burning Karma. Feels terrible but will be over soon. Would suggest leaping through trees for relief but that has proven ill advised for some of our human friends. Couragio, Ms. Flake. You will prevail. Hi, i am Emillia and i am just wondering if the tips here also work for other animals, if yes, can you breed an opossum with a cat? I know, it sounds crazy. Are you on that good kush and alcohol? Also how did you find your human after your squirell days? Was well settled into my human’s head before I left the plane so very little changed for her. There was no ‘finding’ necessary because there was no ‘losing’. And so it shall be for you. On some occasions I feel a little squirrely myself. Does this mean I could be developing foresight, hindsight and/or second sight? Some people have said that I am a sight. What do you think they could mean? Anxiously awaiting your sage observations. Our sage observation is that your true question is not yet formulated. Meditate until you know what it is that you seek, then ask and we will shed all kinds of cool neon light and wisdom upon you. Where did you get your opossum? Whats its name and age? Are you a mystic or psychic or on medication for menal illness? I just dont know based on your videos if your ill or just having fun. Either way they entertain us. Thanks please know i mean no offence just asking what others wont. When asked out on a date, how do you politely say no I don’t really want to go anywhere with you because I feel uncomfortable? My roommate and I think there’s a spirit in our room! It’s been making sounds and messing with the lock on our door! What do we do Pearl? Ordinarily a lock would be of little interest to a spirit. Are the sounds kind of chatterry? It might be Ratty and Jay Jay from Maryland.They’ve been considering crossing over but they are very young souls and could easily get sidetracked. Here’s a trick few know; New spirits leave tracks, so-sprinkle flour all over the area where you hear the noises and by next morning you should know what you have. If it’s a flamingo you’ll know you are blessed with good luck and a prosperous new year. I have fallen in love with a man whose parents do not want us to be together because we do not have the same beliefs and we are not the same ethnicity. I have tried to reach out to them, but they fake illness so that they won’t speak to me, or to make their son feel guilty. We are grown adults, and should be able to make our own decisions, yet they hold us hostage by their prejudices and ignorance. I am so desperate for a solution or any idea on how to solve this. So if I decide to donate to ME Pearl (still not understanding this whole shebang), I would be giving money to a dead squirrel? Please consult the yellow buttons conveniently located at multiple locations throughout the site. Me again. Hold on, I haven’t made a choice yet. What would a dead squirrel be doing with my money? Well, it wouldn’t be your money any more, would it? Keeping up the empire, wildlife rehabilitation, more hoarding, squirrel spa day, making the world a better place, pretty much whatever I deem prudent. Donate in perfect love and perfect trust and then just leave the financial details up to ME. Give with no expectation of return and you will know Squirrel. And you might get a mug, but don’t count on it. It’s best not to over-think these things. PEARL! Can I just say! You are inspiring!!! I love you! Your works are amazing and I would love to see more videos!!! Any tips on getting my first opossum? IN THE NAME OF PEARL! Tip # 1 on getting your first opossum: Don’t. Instead you could volunteer at your local wildlife sanctuary and learn to care for many species, like the best one; squirrels. Oh dear god, please tell me this is for real! This is the greatest thing I’ve seen all month! Of course this is for real. I am starting college in a few weeks and was wondering if you had any advice for adjusting to a new environment. Keep plenty of nerds by your side and nuts in your pocket. Never forget that you will long remember the choices you make now and their consequences. Be kind and be careful. Let Nature be your cherished teacher. Spend time with those who make their home in trees. We know stuff. I desperately need a new female since my last one left me for her roommate. She was the only lover I’ve ever had and now that she’s gone I feel broken and unable to find a new lover. I am 20 years of age and am an innocent virgin. It’s embarrassing when people ask me when I lost my virginity and I have to lie or else be ridiculed. How do I acquire a female? I need love.. and loving. Pearl loves you, but only because she has to. Otherwise, you’re on your own, kid. What should I do if I run over a opossum on the road? Hi pearl! I was wondering what the name of your religion is? I’m so interested in you and your beliefs! The name of the religion is ME Pearl. I believe in ME and so can you. Hello Pearl, I think the website you have your clothing merchandise for sale on is closing. Will there be another place to get MEpearl merchandise from soon? Thank you for alerting ME, Samantha. It shall be attended to at the earliest opportunity. Just what ME Pearl merchandise interests you? The ME Pearl Empire must be ever expanding and we are pleased with your reminder. I absolutely love the hoodies! Delighted that you are enjoying your hoodie and that you understand the profound implication of the slogan. I think I feel myself slowly turning into a marsupial. What is the best course of action? And Pearl loves you, Chris! Ive been watching all of your videos for a while now and I really like your stuff, but the other day I was driving and I hit a small animal…what do I do now? What is life? Duck and cover, Baby, duck and cover. I’d recommend running off to Louisiana. It’s kinda tough with the swamps and gators but your dog’s name might carry some clout. I am in 9th grade and I really like this boy his name is Sammy he’s really cute and has loads of friends… I don’t have any friends so it’s hard enough to talk to regular people let alone Sammy! Do you have any advice about talking to people? I don’t have any animal friends because my mom is allergic to fur. I’m completely alone and my grades aren’t that good eaither. My parents are divorced and my relationship with them is horrible, I never even talk to my dad anymore and my brother just god in a horrible car crash. I don’t know what to do, I’m always sad but your videos make me happy so thank you for that. Anyways do you have any advice on how to be happy? The first thing you must do is change your email name. Anytime you see or think of it you are diminished. Choose a powerful, lofty, squirrel-worthy name to represent you. As to getting on with people; rule 1) Have an exit plan, 2) DON’T BITE 3) Ask questions and let them do all the talking while you eat their food. Your mom may be able to tolerate poodles or Chinese Crested Temple dogs or hairless cats or the ever so delightful hairless rats. Animal companions are core to you humans. My true love is also named Sammy, if you don’t count that scoundrel Stockton du Pres. It’s a treacherous thing to give your heart to the male of the species. Pearl says don’t. Wait for the heart that is offered to you. Find the most fun thing at school (like carpentry, or woodworking) and throw yourself into that. Friends will appear when you’re having fun. Take comfort in the knowledge that this may well be the worst year of your life. You will prevail, dear one. I feel your connection to Source. Write ME anytime. Hello wonderful pearl , I have a serious issue that only You can answer … I’m writing all the way from Ireland. All my life I’ve wanted to meet an opossum but unfortunately they don’t reside in this country.I was wondering if you would know the closest place to meet an opossum. Ps,my cat thinks he’s human and won’t accept that he’s a cat. The Key to Happiness is lowered expectations. You may quote me on that.I suggest that you settle for a badger or an Irish otter. When you’re not near the one you love, love the one you’re near…and all that. Sadly the shot would not be very glamorous. Sweet Pear has passed over the Rainbow Bridge and come home to ME. But we all celebrate Yule on both sides of the veil and all is sure to be merry. Now listen up; no more hunting and stalking and hurting My Belovededs. Are you a super-smart cat who can help me solve a problem for the ages? Eons ago as I was sharing the creation of creation with others of like-mind (or so I thought) there were too many cooks in the kitchen. Somebody came up with the idea of a food chain. Worst idea EVER! Have been waiting for it to pass. Pearl wants all happiness for all beings. What delights the feline palate that doesn’t want to get away? Parsley and roasted pepper? Pommegranates? Please taste test a variety of options and design a menu for the most discerning of felines. When in doubt add a soupcon of pecan puree. That should be added to ‘Rules to Live By’. I’m afraid I’m in a bit of a pickle. You see, I have a big report to do for college and I’m having trouble concentrating due to my opossums new infatuation with the neighbour’s mongoose. You guide me through this earthly life pearl, please bestow your wisdom upon me. Reframe your report to make the desired argument through the eyes of a mongoose. This is a time honored tradition, especially in Bolivia, and will hold you in good stead through the remainder of your education. this is squirrel. Now what? I have loved your videos more than anything that exists on youtube. Will you be making more? We are very much looking forward to making more videos when the time is right and resources are in place. Everything revolves around the love of Pearl. EVERYTHING. Your appreciation is key to our continuance, as it is to yours. I hope you express appreciation every time you recognize something or someone as adding value to your life. Doing so serves to make the whole world better and to make you an increasingly powerful Being. 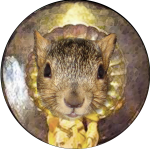 Wishing you much light and a multitude of wild squirrels to brighten your days. we have watched all of your videos and we worship you. We saw you had Pearl pajamas, and we truly want to know where to get them! please don’t stop making videos! forget the haters, do your thing girl:) say hey to Apples for us! But please do not worship me, Georgette. Pearl is She who Must Be Worshiped. So wake up and taste the almond paste! ME Pearl has an empire to fill. Don’t get sidetracked by a pretty face, a pair of fangs and a fat rat tail. Possums are only the come-on. Squirrel is the Essence of Everything. If you don’t believe ME, ask ME. You coulda been a contender. I’m really struggling with my faith at the moment…I really want to ask you if you’ve seen the face of God? Does it rain in heaven? How can I know I am a true apostle? I fear you really do not know where you’ve landed. Please come back when you’ve stopped struggling and are ready to play. Pearl with a fabulous face and a foot and a few layers of fat. What does the cat have that you don’t, besides the attentions of your dog? Dear Pearl, I was wondering if you still sold shirts? I have shown your videos to many friends who also wish to purchase shirts. Thank you for your eternal wisdom and entertainment. sincerely, Rivers. A duplicate answer to a duplicate question from one of life’s true originals. I am wondering what you would do in my shoes. I am not sure weather to go down the road less traveled or the road thats easier. You are wise in understanding that much depends on your shoes. Open toed stilettos or flip flops definitely beg the road that’s easier. Let ME know where you wander on your road to ME. All roads lead to Pearl, eventually. Pearl I was wondering if you could help me. I am in love with a certain chipmunk who comes on my deck every night. How do I get myself to reincarnate as a chipmunk so we can be together?? I urge you to think this through. By the time you have managed a chipmunk incarnation (no easy peasy, that), your chipmunk friend will likely be a water ox in the Mei Cong Delta. Enjoy your time together on the deck sharing almonds and blueberries. It doesn’t get better than that. All good things are coming your way if you just relax and allow it. Try it as a Haiku. You’d be surprised how that process tends to clarify your thinking for yourself, those around you, and ME, presuming you are seeking a response. Delete ‘Mutiny in the air’ (it’s mildly redundant, anyway) and you have a fine Haiku. Pearl, here to inspire the poet in all of you! I see our freedom in my sights. Can’t they see it’s why my BRAIN says “RAGE”? well defined within the limits of your mind. before the next new moon in Gemini. The old guy downstairs thinks we’re just a group of “entitled college chicks” and we’re quickly approaching finals, do you have any sage advice for how to confront this incoming storm? No sage advice for confronting the storm, only for averting it. How does he even know you are there? Sounds like damage control time. Bake him a lovely nut souffle and leave it at his door with a card apologizing for past annoyances and promising to study quietly henceforth. The storm you foresee is the storm you are creating, like Prospero in Julie Taymore’s Tempest (not just any ol’ Prospero). Don’t do it. Look at the bigger picture with a squirrel’s eye view. What is your goal, Carrivagio? How can it manifest to the honor of all? Nobody appreciates a good entitled college chick better than ME. You are loved, my darlings, unconditionally! Your foe will collapse under kindness. They all do. i am very attracted to your intelligence, beauty and wisdom. I would like to become your favorite trusted assistant. I am handsome, smart and extremely capable of completing any tasks u assign to me. ‘Cause otherwise, it’s a little weird. how can I try to get myself to reincarnate as one of your loyal slaves, someone who shall be able to directly serve you at all times!!!!? Well, Ashley, you are consistent. Answered a similar request from you on 5-24-13. Don’t go to the trouble of trying to get yourself to reincarnate as something … Not gonna happen. Just BE the thing, like my slave. First task is to go about the world encouraging wild habitat conservation and discouraging hunting and the ill-gotten gains that result. If that works well come back for your next assignment. I’m starting to believe that squirrels are extremely attractive. Whenever I see one, my flatulence increases and I let it all out. How do I deal with being infatuated with such majestic creatures? Did you mean to say ‘inflatulated’? Haha hahahaha hee hee Ho ho hic hic hic. Pearl loves a good word-play. Can’t pin it on a possum. Any chance it was self inflicted? You’d be surprised how often that happens. If that’s the case, take three crickets and write ME in the morning. what is your thoughts on georgette? Not happy. Not happy at all. Georgette is unworthy of ME, expect that’s clear. She seems to be the only one who can hear ME so I’m stuck. Well, there was this punk rocker who dropped acid in the 60’s but he was missing most of my subtleties. Pearl is nothing if not nuanced. Why do you ask, Peyton and Tori? Are you candidate channelers? Oooh Oooh, that’s exciting! Are you running for president? And, where can I find cheap acorns? President would be a bit of a come-down but you can always think of ME as a write-in. Buy the best acorn you can find and plant it. Dear MePearl, I have a question about your faith. Should I follow the teachings of Pearl? It’s more a question of your faith, Charles. If sea creature, little problem. If human, why would you? The great Pearl is baffled. I am like your number one fan, but is this whole dead squirrel cult thing legit??? I thought it was but my bro says you’re just a genius comedian. I really want to know!!! Then come into mes furry wee bras, Petite Chou. Let Mama Squirrel embrace you. Not only is ME Pearl ‘legit’, it is Truth, itself. Look within and know that it is true. Tithe and validate that knowledge. Most folk don’t think of dead squirrels as particularly funny. But your bro, now that guy’s en pointe. It is a blessing to connect with you. I was just wondering your opinion on the existence and purpose of the Illuminati? How do our overlords intermingle with you? It seems likely that you have entered that realm of mystery and I believe your thoughts on it would be enlightening. I have and they are. Guidance for you, dear one, requires simplicity although the Pearl fully appreciates your preference for complexity. The overlords have become irksome and are no longer invited to mingle with the ME. But you are welcome as the buds of May. Your heaven needs but a single squirrel. Once this settles you will realize it is cause for rejoicing. Be happy. Have a nut! What size tranquilizer dart do you recommend? Depends how tranquil you want him. Or is this more for taxidermy purposes? Devil’s in the details, Deary. I am Leon the Fish of Wisdom. I am here to establish my dominance over the animal kingdom, both physically and spiritually. I passed away after trying to escape from a local zoo but was once the most intelligent Fish of my species. I now find my self more powerful than ever, possessing the ability to float through walls and communicate with other spiritual beings. As I linger in the afterlife I find my power only grows and my followers only increase. Surrender all power now and join me on my journey of transcendence. (Or, flop over, close your eyes, bare your teeth and play you-know-what). Hello to everyone at MEpearl.com! I am a big fan but am worried as I haven’t seen any updates in quite a while. And the holiday season is coming up and I want to spread the word and buy some Pearl t-shirts! Can you give a holler and let us know you are all fine! And open up the gift shop for us holiday shoppers, please! Pearl has done everything short of inflicting physical pain to get the store up and running but helas, to no avail. Perhaps one day in a galaxy far far away (not from ME, of course). We shall announce the grand opening should there ever be one or should the fancy simply take us. what is a suitable Christmas present for a squirrel? What do they like? I know they like nuts, but I want to splurge and get something a bit fancier for the special (not in THAT way, just a friend) squirrel in my life. you being a squirrel and all, I thought you would have a good handle on what squirrels prefer. Please help! You MUST start thinking in terms of Pearlmas presents. With that established, all squirrels appreciate itty bitty fleecy onesies. … How do I make him eat vegetables?? If you want your possie to eat veggies consider steaming then blending then mixing into cooked mashed chicken livers. You are kind to be rescuing this abused creature. Think more in terms of ‘encourage’ than ‘make’. I never leave comments anywhere. You have turned my day around. I am smiling with unabashed joy. All hail the wonderful Pearl. PS – May I be your disciple? As for being a disciple of ME, it’s a process. We vet hard. I understand your question even though unfinished. If you watch the episode in question to the very end the answer is revealed. Spoiler alert: OF COURSE NOT! First of all I AM Pearl and I have been ascended for 7 years. In the video ‘ME Pearl Explains ME Pearl’ there is a baby squirrel who appears to have accidentally expired but that later proves to be untrue and she shows up happy and healthy as ever. The human in the videos is Georgette and she answers to ME. We don’t kill anything around here, quite the contrary. We believe in the sanctity of all life and are committed to protecting it. Hello wonderful pearl i was wondering if you could answer this for me.my possum in in love with another possum and i was wondering if i should let them be together. Love is fleeting but 13 baby possums are here to stay. A captive mother possum is in no position to teach her yungins how to be wild possums. If one or both possums have been altered for health reasons and require permanent care giving then they can be housed together but supervise carefully for the first week. Seeming amorous attentions can turn unpredictable. I am enamored, enlightened, and elated by your wisdom. Your kindness in communicating with this plane and sharing your impressive perspective is inspiring in itself. Thank you, from the bottom, top, and all corners of my heart. Your perception is duly noted and we are adding points to your permanent record. Oooh, what was that in July of 2013? Uh ooh, August of 2012 got a bit dicey, didn’t it? Well, never mind. Pearl Loves You. when will we be able to buy merchandise showcasing our eternal loyalty and servitude to your cause? I would so love to be able to display my neverending devotion. But it seems the website selling Pearl-themed clothing has gone dark! i had a turtle named Jareld the turtle who committed suicide after his best friend Phillips the snail jumped off of the Empire State Building and Jareld couldn’t bare it so he killed himself. I don’tt know how to cope with this death. Please tell me how to to get over this, oh wise pearl. Jareld did not jump. He was pushed. I love watching all of your videos with my opossum Hermes. I have become fixated on marsupial life, and I aspire to reach your level of opossum knowledge. However, I am torn between my love for Hermes and my love for Francis, my fiancee. He has not taken well with the fact that I have an opossum; he thinks they are pests, “tiny little rats from Satan himself.” I have actually seen him abuse Hermes, and although I have addressed the issue, Francis will not stop hurting him. How would you recommend taking care of this conflict? Thank you. You know what you have to do. If Francis is abusing animals how long before he starts abusing you? Seriously, dump the dude and protect your own. BTW, we love the name Hermes! Help! The tree squirrels in my backyard came into the house last night and took my corgi Holly! Opossums sometimes eat these squirrels, so should I check for Holly’s remains where the opossums live? I want to set up a shrine with Holly’s remains in hopes that he will join you, Pearl, and become the wisest corgi there ever was. 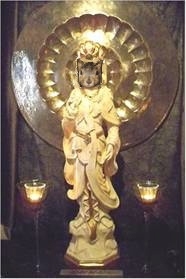 Pearl of Wisdom, could you resolve the problem of these Opossums and corgie-nabbing squirrels? Willow, my other corgi, waits by the window for Holly every night. I know Willow will be at rest when Holly returns or when Holly’s spirit has been risen and Willow can be enlightened. Thank you, Pearl, squirrel wisest. You’re barking up the wrong tree, Queen. Missing dogs have nothing to do with wildlife…usually. Follow the standard protocol; post signs all over the neighborhood and keep in daily contact with the local shelter. Microchips were designed for occasions like this. Hope your dogs have them. If not, get Willow chipped immediately. Meanwhile, I’ll keep an eye out in case Holly shows up here. Good Luck. Dear Pearl, The snakes are attacking the squirrels in my community. Oh wise Pearl, please help me with this terrible occurrence. If you give me advice, oh wise Pearl, I will pay YOU in acorns. That must be difficult to see, Funny Bun. Just as many squirrels attack snakes. It’s well documented. My opossum bites my hand everytime to see if its food even though i wash them. What do you recommend to teach him its not something to eat. Essentially it IS food and possums are very clean so washed hands are best. If you feed ‘your’ possum something s/he likes better than hand, like avocado and walnuts, you will probably emerge unscathed. Pearl, Provider of Pithy Information. My name is Temmie! I was wondering why the squirrels outside and they started fighting so I went to help them. But sadly when I got there they ran away!?!?! Is there anything I can do to help them? I am really worried! Thank you so much about caring for us squirrels and wanting to help us. The truth is we have pretty unsettling mating rituals which is probably what you witnessed. If a lady squirrel ‘has a headache’ she may leave a trail of bloodied suitors in her wake. And if she is willing the fella may be short on woo and opt instead for “Stay still or I’ll tear your ear off”, which happens more often than we like. Plus…there may be rivals for M’Lady’s affections and very few abide by the Marquess of Queensberry Rules. Perhaps one day. Meanwhile it’s a free- for-all out there during mating season but there is nothing on the planet cuter than the result. What are the best side dishes for opposums? Also what’s a good dessert to prepare? Also what meals would you prepare for 4th of July? Thank you! Please see “Proper Opossum Gourmet Cooking” on Youtube. HI, MEpearl, I was wondering what to do if i am feeling like a tortoise inside? You’re not so much feeling like a tortoise inside as craving a secure hidey place where you can retreat and feel safe and recover from the stresses of the world. Pearl gives you permission to claim such a space as yours alone. If you can’t have a room of your own, a refrigerator packing box may do the trick. Good Luck my sensitive friend. Pearl understands. You do realize that Pearl is a squirrel, right? You’re killin’ ME here, Matt. I NOTICE RECENTLY THAT MY OPOSSUM WHO IS 4 MONTHS OLD AND A BOY IS SOMETIMES LUNGING AT MY CATS. HE HAS BEEN AROUND THEM SINCE HE WAS 3 AND A HALF WEEKS OLD. WHY IS HE DOING THIS AND HOW DO I STOP IT? Are you sure the cats aren’t starting it? Are you expecting them to share anything, like bowls, beds, or affection? Are you expecting the opossum to behave like a cat? The opossum in question must feel threatened in some way. Remove the source of the threat to remove the offending behavior. In your wisdom I seek an answer to my confusion. I suffer with manic depression, bipolar disorder, and anxiety. After being diagnosed I was prescribed two different medications. After discovering your holiness, I have realized that I no longer need to rely on modern medicine, because all of my faith and health will be determined by you. I hope to hear from you so I may have some feedback. I would also like to know that my faith pleases you. Your faith might please ME if you hadn’t turned it over to a quack first. Who diagnosed you with BOTH manic depression AND bi-polar disorder? Forget labels others give you and remain passionate about those you create. So glad you no longer need the meds. Now just wrap up those lil’ action figures and mail them to ME at ME Pearl Enterprises. My staff knows just what to do. Since you are turning your health over to ME, the first order of the day is to clean up your eating habits. You do so know what I mean. Yes, that! And that. Proper nutrition is key for you, my friend. My roommate keeps trying to kill me for free college tuition! What should I do?!?! Start setting your intention for what you would like to be next incarnation. I HIGHLY recommend a squirrel. Bye. My dear, I have two inquiries. I do wish to become a famous singer, share my dreams to be a part of the gentle evolution of this solar system… but I fear I haven’t been too confident in composing new material and sometimes wonder if I am just dreaming the impossible. . I am also to decide if it is ok to go back to escorting, prepared with meditation, yoga, and vegan lifestyle to keep inner squirrel alive. I feel I can make an epic story out of this, and si could see myself as Gaia while seeing clients… perhaps it could give me the inspiration I need… and the money to do necessary things. Que piensas? So interesting when the answers are in the question. Learn all the lyrics to ‘The Impossible Dream’ and make it part of your inner repertoire. Since you are living the vegan lifestyle (and Brava!!!) your sensitivities are heightened and it’s important to take loving care of yourself. Something to think about; Gaia is being raped repeatedly. Just look at the extraction of fossil fuels. Setting yourself up as Gaia will not protect you. We must all protect HER. Georgina Spelvin? The devil in miss jones star. Didn’t she have a bad ending? The history of the Spelvin tribe, Georgette, Georgina and George, is a long and checkered one. Thank you compassionate ME Pearl. You are as delightful as rose tea with a chilly sunrise. My opossum is still trying to bite my cats. He is 6 months old now. When I’m inside with him I will watch TV in bed with him and my cats. He will walk up to them and try to bite them while they are sleeping. I need help. I can’t risk my cats getting bite nor can I release him because he is tame. I don’t feel like I should give him to a wildlife rehab because he is tame and will still try to bite other animals. I fear they will kill him. I need help. Wildlife Rehabilitation Centers are generally made up of compassionate people with more helpful options than the general public. If you can’t keep him separate from the cats and he’s the designated casualty, then I recommend a wildlife center. May Pearl be with you, little possie. (1) What is your real name? The name of the woman being possessed by the squirrel? (2) Can you just be straight up and tell me if these videos are a joke? That’d be great. (3) If they’re honest to Pearl not a joke, you do know you’ve lost it right? (4) Do you live alone? Who films your videos?? (5) Why do you randomly see an elephant in the room? (6) Why do you say “bye” like 17 times at the end of your videos? Your questions reveal that you have missed the essence and purpose of ME Pearl. But you are a seeker and that is good. Take time, go deep and think about what it is you REALLY are wanting to know and Pearl will help you find the answer. And BTW, an elephant in the room is never random. I need help dealing with this place called North Korea. Big Problem. Many people have died. It’s terrible. Just Terrible. Do you have any tremendous advice, not that I need it, I just really, really, want it. Blessed be. Thank you for your divine advice. I hope you gave me the evangelic vote, because I totally got the evangelic vote. Much love. with all your power, and influence, can get them put on the endangered species list, it would be good. The world just treats you better if you’re on that list. And you are about to be put on the list, Donnie. Yup, endangered species. You say that many people died. Well, many squirrels died, Donnie. Did you ever think of that? I kinda feel about you the way you feel about North Korea. But you have had the wisdom to come to ME, the source, and that says a lot. Keep coming back, you have a lot to learn. BTW, I dig golf courses, too. oh wise and gracious Pearl, do you have any advice with seeing ghosts? should i talk to them? they seem nice but i’m a lottle shy and i would like your advice! You’ve certainly come to the right squirrel, Zaney, for I, ME Pearl, am the definitive ghost. Speaking to us is good but feeding us is even better. We like angel hair spaghetti and divinity fudge.Your ghosts have manifested for the express purpose of giving you confidence. They bring you an opportunity to practice your assertion skills. But never forget to be grateful and acknowledge their beneficence. Pomme Fritte is a splendid moniker and we shall save it for just the right creature. Sadly, Georgette is delusional about the Siamese opossum. She can neither keep nor release him as he is on loan from her local animal shelter. Seems he came in too young and sick to survive there and she was asked to home care him until he was healthy and old enough to be put up for adoption. Of course the shelter did not realize that he was a rare Siamese opossum which ups the ante significantly. He’s healthy now (my ministrations)but needs another two weeks of growing before he goes ‘up for grabs’. I’ll plant the seed in Piggy to fly home for a visit now and again. I am home now. Do not be afraid. Everything will be ok in the end. Welcome. No one is afraid in this space between worlds where everything is already o.k..
What’s the meaning of life? Also what is a rodent’s out look on life in general, I would like to understand my gerbils thoughts better. First off, your gerbils are not like other rodents. They are strange and that’s on you. You are a genius!! Love your videos!! Pearl, I’m getting Married!!! is there any way I can get a statue of you to have at my wedding so all my guests can pay homage to you. Possibly. What are you marrying? A statue of ME is contingent on my approval of you and your event. I could even show up in person but that would take all focus from you on your special day. Many ME Pearl items are currently being designed and may be available for the wedding…if you and your betrothed believe in long engagements. If fact, why don’t you just postpone the wedding until I am ready. Once I’ve got the darling ducklings all lined up I’ll let you know and you can proceed. Just take a wee breather and, who knows, someone better may come along. If not, nothing lost. And do invite Georgette. She’d like to be a member of the wedding party, O.K.? How about a marzipan cake that you can send home with her? Yes, yes, this is looking better all the time. Congratulations to your would-be spouse of whatever stripe. And Mazel Tov to you, Philm. Let me say from the begging that I know that you know, it’s in your eyes, in your words, and in your deeds, the high awareness. I’m writing to you because I’m flat out stagnated on my path, the heavy cup I’m carrying gives me very heavy thoughts about the need of achieving world peace but the source doesn’t give me an answer on how to get out of this maze to achieve it (yet), all doors seem to be closed. I can’t be complicit in the way humanity is going right now, no matter the cost. Did you encounter such barrier yourself? Can you give me advice? At the end I wanted to add that people always say positive things about your character as a person and that is good of course, but they often can’t understand, or sometimes even see what YOU do, they are what they are of course, can’t be blamed. I wanted to thank you for what you do for the animals ( therefore for whole earth ), and your clever sociological approach of educating everybody. This will either come as a disappointment or a great relief but either way it’s true. that is not your cup…drop it. When the Source doesn’t answer and all doors are closed then it’s time to move on to something else. Something less heady. Be wise, not stubborn. Be like the squirrel and view things from on high. and look down. Just watch for a while. You don’t need to say anything, or do anything. Just observe. There are more things in heaven and earth, One, than are dreamt of in your philosophy. Don’t ask Source how to do what you think you should be doing, rather ask Source what you should be doing. The answer will come and it will surprise you and please you because it’s what you WANT to be doing more than anything. You just haven’t seen it yet. Oh, and don’t skip any steps. Pearl loves you and believes in you……so lighten up and let your spirit soar. I have finished my education and am looking to enter the workforce yet could really use some career advice so I don’t have to live in my parent’s basement when I’m 35. Thoughts? The answer is in your very name, my friend. You are called to be a teacher of terpsichore. and I’ll teach you to chick chicky boom, chick chicky boom. How do we really know if the Earth is round or if it is flat?